What better way to spend time with family and friends than by renting a spacious private villa? Vacation in a fully-staffed private villa, live like royalty, enjoy your own pool, lots of room to relax, and a host of activities and services at your finger tips. All at a cost per person that's less than a comparable set-up in a luxury hotel. 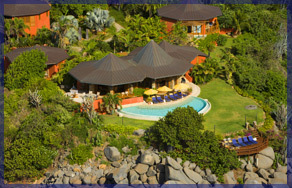 The villas below have personal staff to attend to your every need. Call a Wimco agent to select the fully-staffed villa that's right for your vacation. We also have a small collection of "By Invitation Only" villas, a very private collection for those clients who spare no expense for their vacation. The French Caribbean islands of St Barts and St Martin are filled with character, charm and elegance. Stay in one of these properties with staff and experience island living at its best. 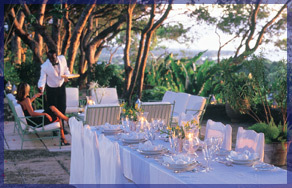 With nearly all villas offering staff, Barbados truly is a full-service destination. Sit back, relax, and let the friendly people of Barbados tend to your every want and need. 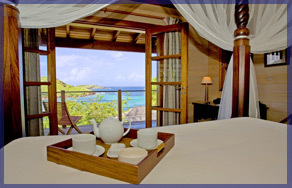 The exclusive island of Mustique is all about privacy and luxury. Villa staffs are professionally trained in creative cooking, etiquette, high-class service and more. 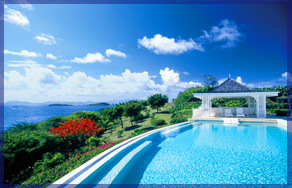 The natural beauty of the Virgin Islands beckons you to relax, relax, relax. These staffed villas will ensure that everything is taken care of for your well deserved vacation.